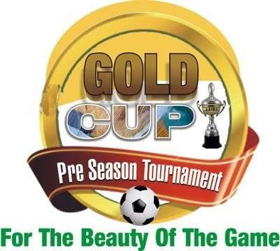 Last year's finalist, MFM FC have been knocked out of 2017 Gold Cup Pre-Season Tournament after recording a disappointing 1-1 draw against Katsina United in their final group game on Monday. The Olukoya Boys could not build on their last game's performance after beating ABS FC 2-1 on Sunday as they failed to even their last season's position at the tourney. Stanley Okorom forcefully redirected a Tasiu Lawal's cross to his own net to give Katsina United the lead in the 24th minute. Chinedu Ajanah brought down Olatunbosun Sikiru in the box and Okorom made amend for his earlier own goal to level the scoreline for MFM FC from the spot with two minutes to end the fist half. MFM had a chance to get the winning goal after Katsina United captain, Timothy Danladi was sent off for elbowing Sikiru but goalkeeper Dami Paul parried wide Victor Mbaoma's free kick from close range. Meanwhile, Kano Pillars completed the four semi finalists of the Gold Cup as they pipped Rivers United by a lone goal in the final group game. Alhassan Ibrahim headed Rabiu Ali's corner to the far angle to give the Pyramid Boys the victory. Pillars' keeper, Yusuf Mohammed saved what could have been a decisive goal for Rivers United as he guessed right to parry Ali Chiwendu's spot kick early in the second half. Sunday Rotimi also rescued situation for Rivers United in the closing stages of the game when he dived full length to save Rabiu and Rivers were unlucky to equalize with Pillars' defense proved too difficult to break. Technical Adviser of Kano Pillars, Ibrahim Musa who was elated his side could sail through a difficult Rivers United said the team would improve on their performance in the semifinal. His counterpart at Rivers, Stanley Eguma said the positives of the tournament was achieved as it has afforded his team to test new legs ahead of the new league season. The first semifinal of the tournament will get underway on Tuesday as Lobi Stars will be taking on Katsina United by 4.pm, while the second semifinals will be decided on Wednesday with Niger Tornadoes locking horns with Kano Pillars by 4.pm.